If Lake Como is the playground of the rich and famous, CastaDiva Resort and Spa is the most perfect setting to enjoy it with its romantic legend combined with ultimate luxury. 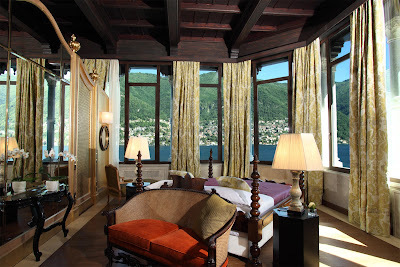 CastaDiva Resort offers the most luxurious view of Lake Como. It’s no secret that Lake Como has always attracted royalty, stars from showbiz, musicians, poets and artists. As one of the most romantic locations on the planet it is also the ideal getaway for weddings and honeymoons. The scenic area surrounding the lake is dotted with villas of the likes of George Clooney and Richard Branson. While you may not be able to enter their plush abodes uninvited you can probably enjoy a similar lifestyle at CastaDiva Resort. The long, winding drive to the porch affords stunning views of the blue-green Lago di Como (Italian for Lake Como) fringed with green hills on the opposite bank. The reception echoes the opulence that lies within with velvet drapes in shades of purple and red coming down from high ceilings, ornate cornices, gold-framed mirrors and gilded portraits. In fact, there is one mesmerizing portrait of a lady just as soon as one enters. “This is Giuditta Pasta,” I am told while I gaze at her; and thus starts the story of CastaDiva. 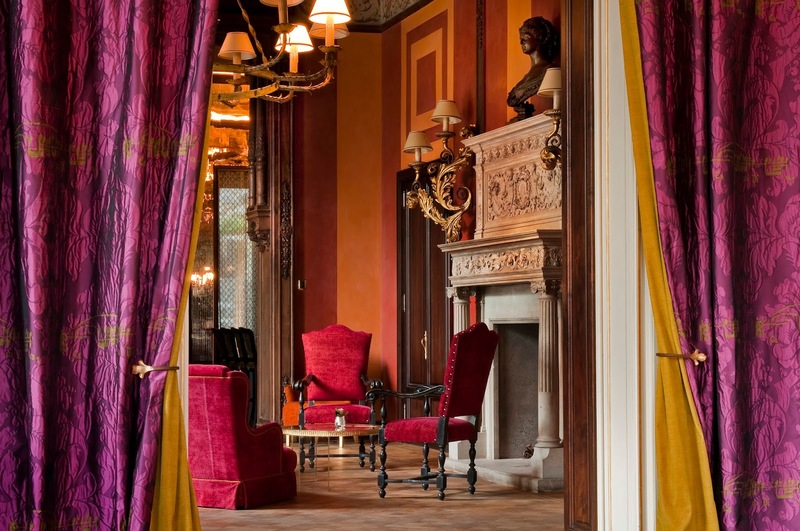 The plush interiors feature opulent drapes and furniture. Giuditta Pasta was one of the most famous Italian soprano opera singers of the eighteenth century when she bought this villa (it was previously a casino). She had it redesigned like Scala Opera Theatre (Teatro alla Scala) in Milan because she wanted to recreate that atmosphere. It soon became a meeting point of many artists, opera singers and composers including Vincenzo Bellini who wrote the famous opera - Norma. Giuditta also lent her voice to a popular aria in that opera called Casta Diva, hence the name of the resort! My favourite spot at sunset. The resort now features nine villas with 73 rooms in all, and the original villa known as Villa Roccabruna houses the common areas, the front office, concierge’s desk and a foyer with a sweeping staircase that leads down to the spa and the upper floor with four classical CastaDiva Suites. The huge glass doors and windows of the salon offer picturesque views of the lake but one must step on to the terrace to breathe in the cool air and take in the 180-degree vista of the cerulean beauty. It’s even better if you go down the stone steps and walk along the pebbled path – the lake on one side and the resort set amidst lush gardens makes a breathtakingly beautiful setting. Each villa is named after an opera singer and is built in a different style in terms of both, architecture and décor. You may take your pick from the neo-classical or modern as per your preference. But if you’re looking for exclusivity, there are two private villas complete with private housekeeping, butler and chef. 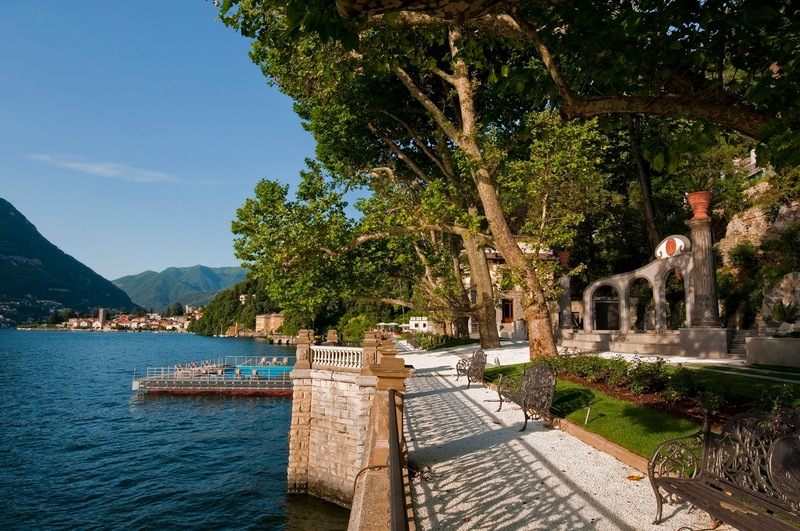 Villa Norma, at the farthest end of the estate offers 360-degree view of the lake as well as complete privacy since it has a private dock which enables guests to check-in secretly straight into the villa. Built in Neo-classical style, this three-bedroom villa is spread over four floors and comes with a full kitchen, lakefront Jacuzzi, a games room with pool table and wet bar, a terrace and private gardens with additional security. There are different categories of rooms and villas to choose from. My suite in Villa Dorabella is contemporary and plush, with a separate sitting room and private balcony overlooking the lake. The only thing better than this view is waking up on luxe linen to this view as the water glistens along with the rising sun. Sunsets are equally picturesque. 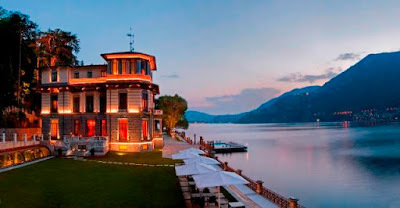 In fact over the course of my stay I enjoyed the magical sunset over Lake Como from different locations at the resort – the memory of the blue water turning to liquid gold while I sat on a bench at the far corner and the cool breeze and happy humming of birds as I lay on the lounge bed in the garden. These are really the moments that make me love my job! The spa celebrates the elements. This is the Terra Suite - an ode to the Earth. The wellness area is as well equipped as it is aesthetically built. Complete with the latest facilities it has a vitality pool with hydromassage, a Himalayan rose salt relaxation room, showers with mint and exotic fragrances and a Kneipp circuit and ice cascade. 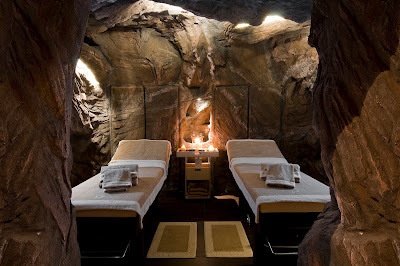 But what is really stunning is the private spa suites that are based on the four-elements - fire, earth, air and water. Each has a personal kingsize waterbed, steam room, sauna and Jacuzzi. Built like a cave, the earth suite is very rustic and calming. You can choose from a range of indulgent, relaxing and detoxifying therapies. Venue for a fairytale wedding. The resort offers a variety of venues to host private events and weddings. 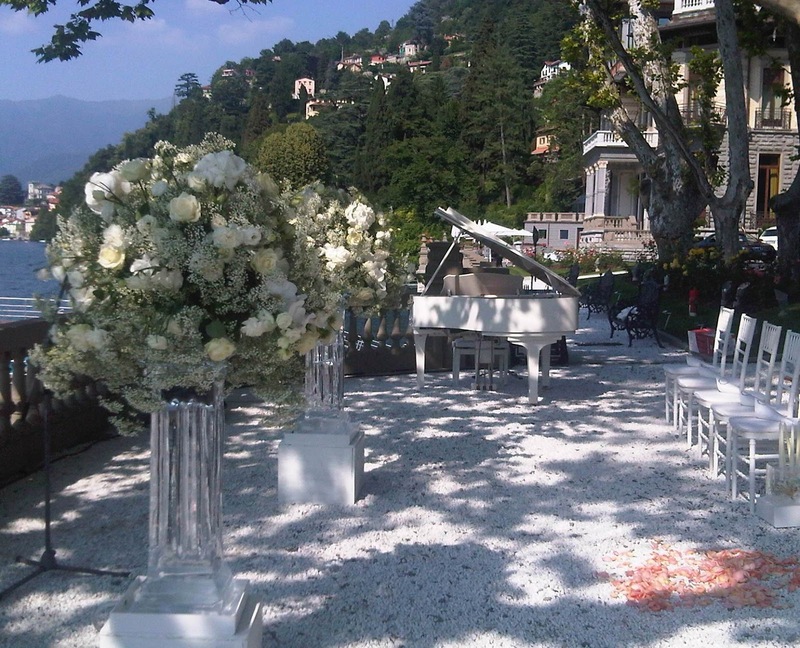 An amphitheatre overlooking the lake is ideal for concerts and intimate wedding ceremonies. While the wood-decked floating swimming pool is ideal for enjoying sundowners, it can also be covered up and used for private events to host cocktails or a sit down dinner for a unique experience. The lush garden over looking the lake can also accommodate upto 200 guests. Last but not the least - Food! A resort can never be complete without good food! Villa Roccabruna has a lovely Bellini Bar where we are served a memorable meal comprising the freshest salads, hand-made pastas and most decadent desserts. The ravioli with artichokes, burrata cheese and candied lemon turns out to be as delicate as it is delicious. While the bar is ideal for a light meal, it attracts the swish set till the wee hours. The main restaurant however is the waterfront L’Orangerie with a gorgeous verandah that makes candle-lit dinners by the lake utterly romantic. The same venue serves a lavish breakfast buffet and an array if Italian classics as well as modern fare. If you like the food as much as we did book yourself a masterclass with executive chef Massimiliano Mandozzi. Even though he uses some of the most trendy techniques in his kitchen, he’s sure to demonstrate recipes that you can easily replicate at home and impress your friends and family. I certainly vouch for the tiramisu recipe that I learnt. First glimpse of Bellagio, also known as the Pearl of Lake Como. 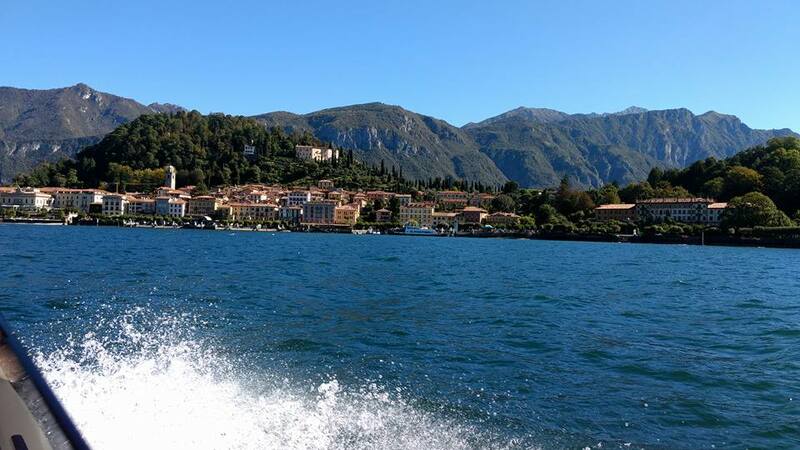 A visit to Lake Como cannot be complete without a boatride on the lake. Do check with the concierge and take the boat tour to Bellagio. As you enjoy the mist spray on your face the captain also points out all the celeb villas on route. Bellagio itself is an island in the lake, also known as the Pearl of Lake Como. This quaint town has flower lined cobbled streets, alleys through which the turquoise waters of the lake are visible like a jewel at the end of a tunnel and all the quintessential Italian things to do – aperitivo bars where you must have an Aperol spritz, shops stocked with Italian leather bags, handcrafted shoes and exquisite silk scarves, family run cafes serving delicious woodfired pizzas and a range of gelato bars that make for a perfect Italian holiday. The best way to enjoy the Lake is definitely by renting a boat. 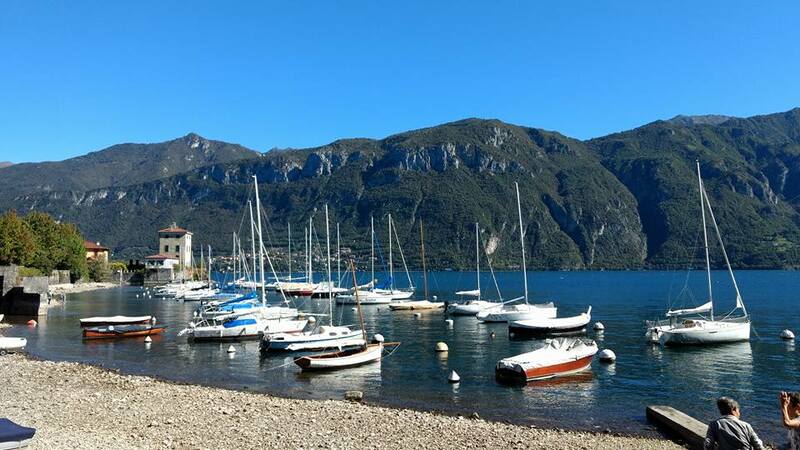 The resort offers shuttle service to Como town that is just a few minutes away from CastaDiva. Como town is bigger yet less touristy than the surrounding towns of Varenna, Bellagio and Lecco. Book a Como Food Tour (lakecomofoodtours.com) and enjoy a walk and eat tour along with a glimpse into the history of city center. Sample fresh focaccia, taste local wine, enjoy fresh lakefish and local finger food and wind down with a famous Italian espresso.